LOCAL PCA MEMBER OWNED. JUST ARRIVED ON CONSIGNMENT FROM A LOCAL COLLECTION. 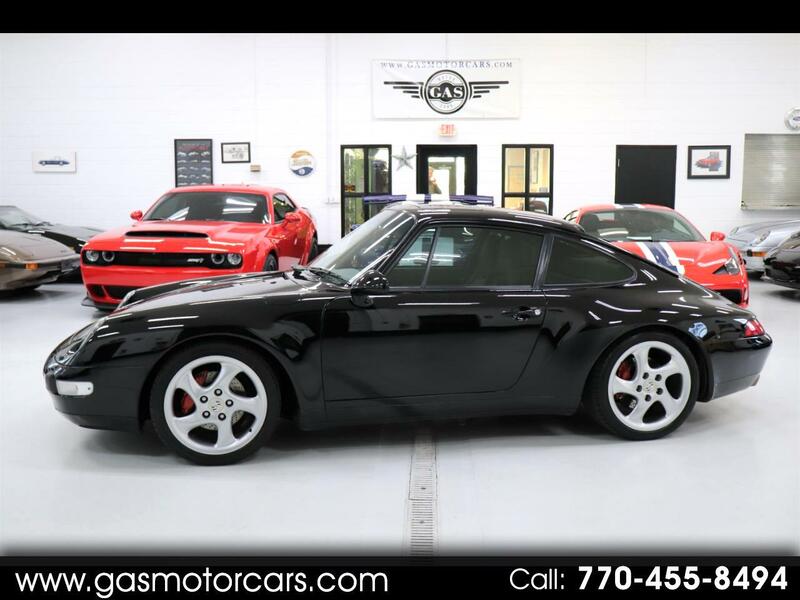 THIS IS A GREAT 993! GREAT DRIVER, NOT A CONCOURS WINNER. THIS 993 HAS ALL ITS ORIGINAL BODY PANELS BUT HAS BEEN REPAINTED. GOOD SERVICE HISTORY AND SOME NICE UPGRADES. PSS9 SUSPENSION, UPGRADED EXHAUST, JL AUDIO SPEKERS, AND MORE. FACTORY BLACK OVER NATURAL GRAY LEATHER. DUAL POWER SEATS, PARTIAL LEATHER, ORIGINAL BECKER RADIO, 18 INCH WHEELS, SUNROOF, SIX SPEED MANUAL, PORSCHE LITRONIC LIGHTS. AND MORE. GAS MOTORCARS INC IS A FAMILY OWNED AND OPERATED DEALERSHIP LOCATED IN MARIETTA, GA. WE ONLY SELL VEHICLES OF THE HIGHEST QUALITY. WE CAN PROVIDE FINANCING FOR QUALIFIED CUSTOMERS. WE SHOW VEHICLES BY APPOINTMENT ONLY. WE CAN SHIP WORLDWIDE.